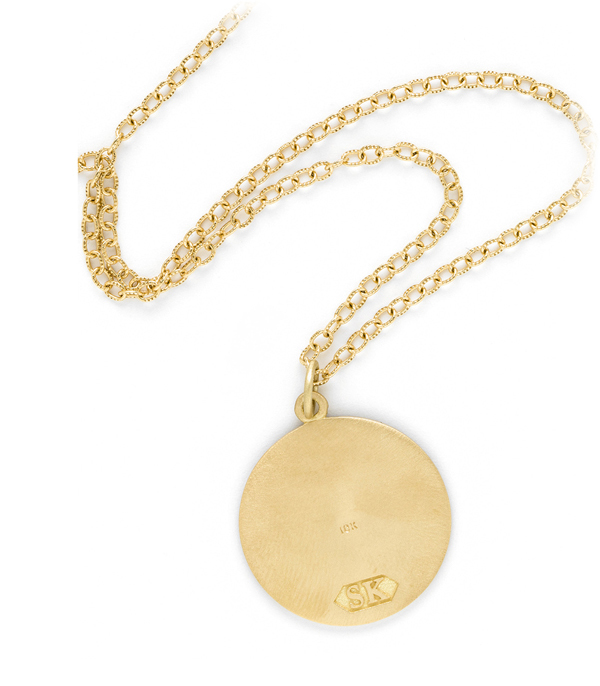 * This item will be custom made per your enamel specifications and will be shipped on or before Wednesday May 15, 2019. You can request a stock inquiry from the Jewel Box once it has been added. 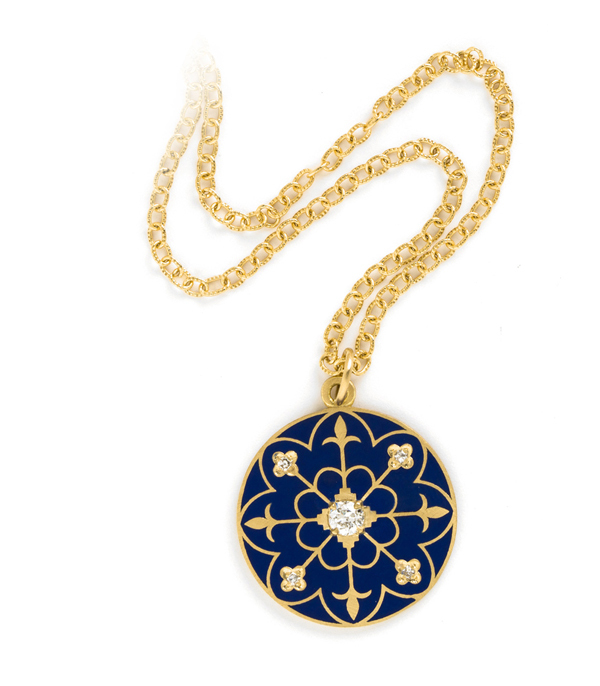 A beautifully patterned piece, this 18K gold, enamel, and diamond pendant has a lovely inspiration story as well. We started with the notion of a Mandala. 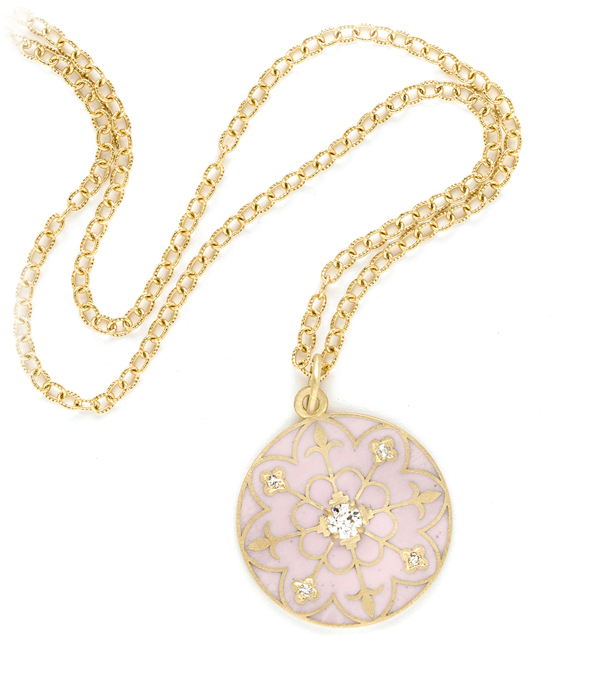 The meaning of mandala comes from Sanskrit word "circle." 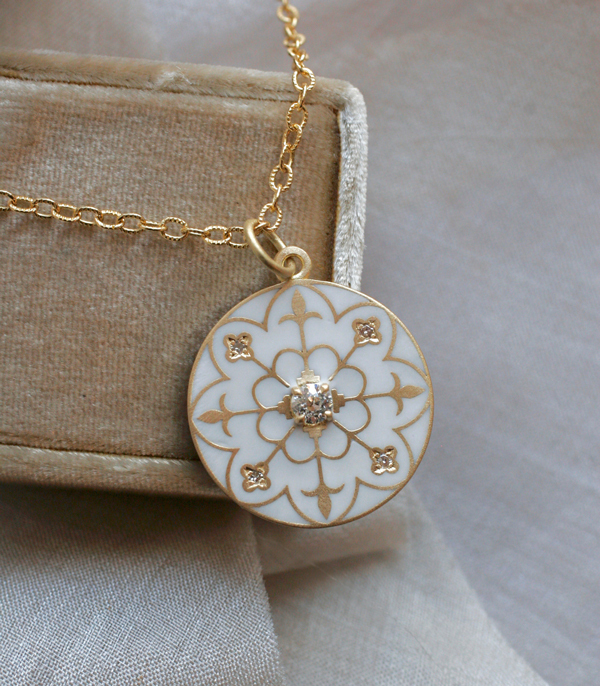 Having a concentric structure, Mandalas offer balancing visual elements, symbolizing unity and harmony. 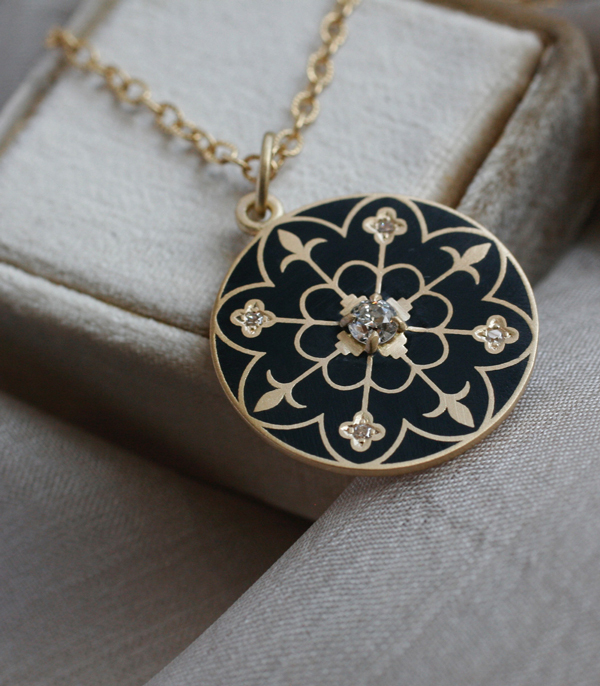 We designed a Victorian styled mandala as a part of the Language of Flowers collection incorporating the motif of a compass. 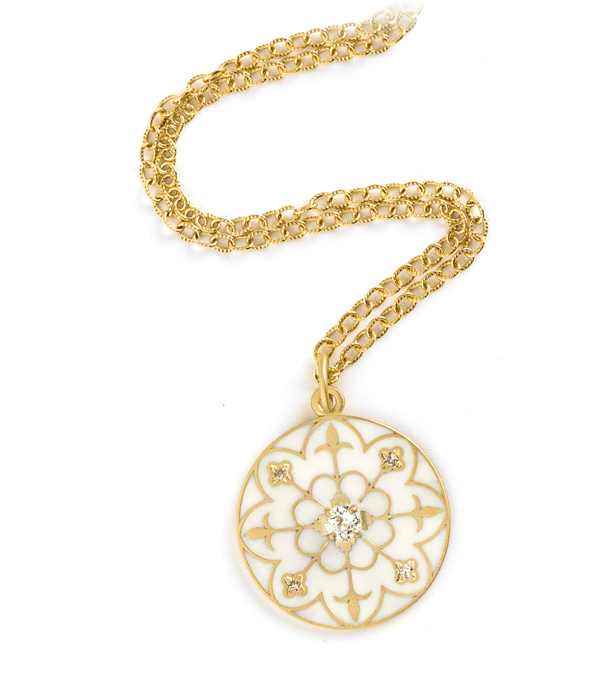 Compasses were given as gifts carrying the message of always being able to find your way home. 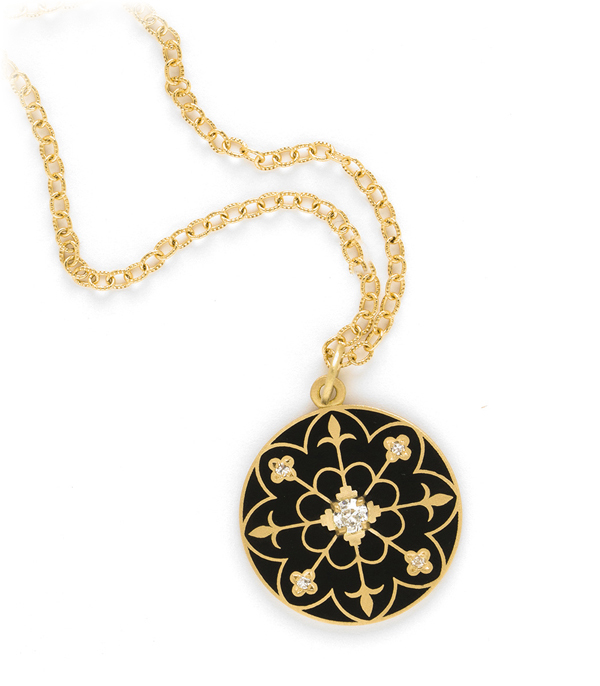 The fusing of the mandala and compass signifies the reminder to follow your inner compass on the journey of life.